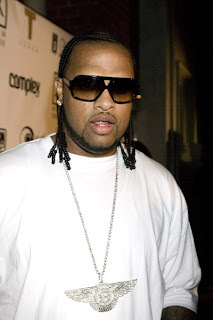 Yesterday, Houston rapper, Slim Thug wrote an editorial for the website, AllHipHop.com. In the section, he wrote about his opinion on relationships. As a black man, Slim Thug said he found it hard to trust black women. For years, he dated former Destiny's Child star, LeToya Luckett. Earlier this year, they broke up after Slim Thug's infidelity. Slim Thug said the mind of most black women is different from women of other races. He says black women feel as if their man should do everything for them. On the other hand, he feels couples should work together as a team. Slim Thug admitted there are not too many good black men left and black women have their standards too high. If a black woman does land a good black man, such as himself, Slim Thug feels they have to bring something to the table, too. Because of his wealth, money is not an issue. Slim Thug hopes to have a woman to cook, clean, and do dishes. He said black women cannot think they are above this or they will be alone. Slim Thug said he has a brother who has a white girlfriend and he often brags of how she gives him no problems. However, Slim Thug said he has a girlfriend who is mixed with both black and white. He said he guesses the white half is the half that does the cooking and cleaning for him. But, Slim Thug admitted she is more than this to him. She is capable of carrying herself because she is college-educated and Slim Thug loves her for this. Before hooking up with this girl, he ran through his fair share of slower girls. In the end, Slim Thug wrapped things up saying white women treat their men better than black women treat their men.